Made with Virginia, a soft, supple leather that breaks in easily and ages beautifully. 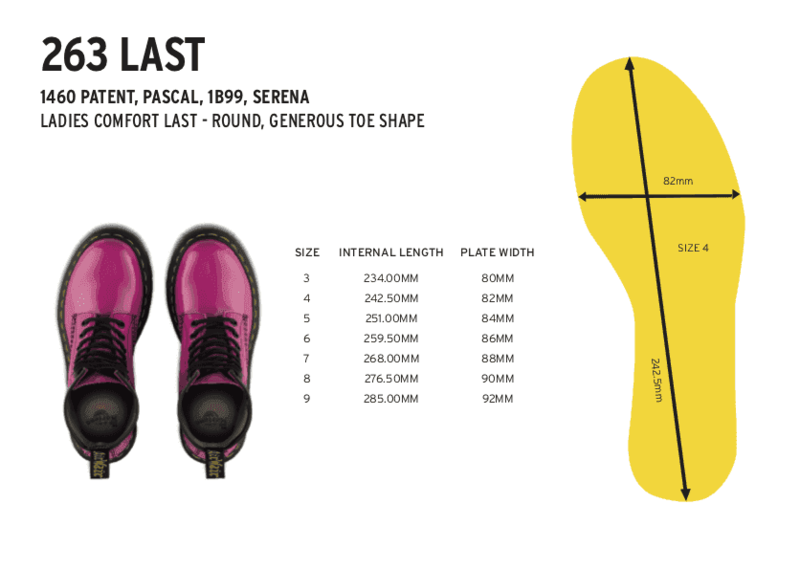 Built on the iconic Dr. Martens air-cushioned sole, which is oil and fat resistant with good abrasion and slip resistance retaining classic Docs DNA, like a groove-edged sole and yellow stitching. This is our original 3-eye shoe. The second style we made, the durable 1461 was engineered for industry — and made iconic by generations of non-conformists. Today, the 1461 is worn as a statement of self-expression by trendsetters from all walks of life — and now, it comes in two new shades of soft, supple Virginia leather.